The pictures are accurate. Spacious bedrooms, two bathrooms, small but cozy kitchen. Really good WiFi. Clean and tidy. Towels and hairdryer are provided. Friendly owners, helping and kind. They warned us about bus drivers strike and managed to arrage an airport transfer. Thank you, Ettore! Stephano was waiting to meet us. He was very friendly and made us feel welcome. He didn't rush off and spent a lot of time giving us information on how to get to various places, about the bus or which metro line to take and showing us on the map where to go. The apartment was in a very quiet, secure area away from traffic, and was spacious, clean and comfortable. It was very easy to get to shops and 5 minutes to metro. Would recommend it to friends. We had a wonderful time in Rome. The blackout blinds were SUPERB. And the shower was excellent - really powerful. Ettore was most helpful and nice host. The flat is great for four people, close to bus and metro lines. We received a lot of great information from the hosts! They were amazing people, and they made us feel welcomed right away! My party of 9 was very satisfied, and we will definitely be going back! Comfy beds ,everything necessary provided in ensuite .Would have liked some fresh croissants and or fruit BUT breakfast goodies were perfectly adequate . Beautiful spacious clean apartment. Three good size bedrooms all with ensuit. Everything you could need for short or longer stay. Host very welcoming and informative. 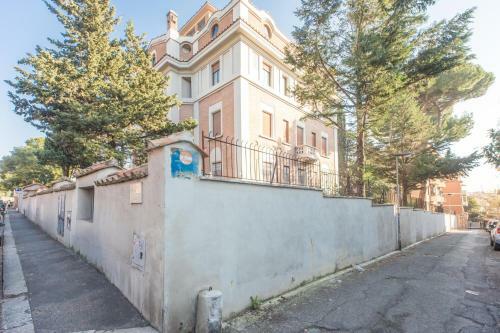 Near to metro and within walking distance to st Peter's if fit. Marco was very helpful and provided us with all the information we needed. Lock in a great price for Rome All In Apartments – rated 8.8 by recent guests! Located in Rome, 0.9 mi from St. Peter's Basilica, Rome All In Apartments offers self-catering accommodations with free WiFi and flat-screen TV. The Rome All In apartments have excellent public transport links, whether by metro, bus or tram. You will find plenty of restaurants, cafes and shops near your apartment. Check-in takes place directly at your apartment to save you time. Just check the apartment descriptions for the exact address and be sure to let the property know your estimated time of arrival. Guests of Rome All In Apartments can request portable Wi-Fi access points, book car transfers, and enjoy walking tours and excursions around Rome. 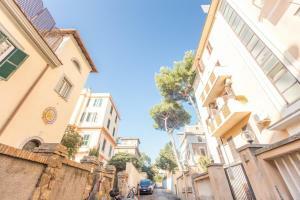 뀐 Located in the top-rated area in Rome, this property has an excellent location score of 8.2! When would you like to stay at Rome All In Apartments? This air-conditioned apartmen features 2 bedrooms, 2 bathrooms and a fully equipped kitchenette. Free WiFi is included. Final cleaning is included. Bed linen and towels are provided and are changed on request at an extra charge. Our Staff and property owners are glad to host you, it is not only work, it is passion too. All the area we offer is selected for its amenities and connections to the main sites. Check the address inside the apartment's description, you will easily know where the apartment is located before you book. House Rules Rome All In Apartments takes special requests – add in the next step! Rome All In Apartments accepts these cards and reserves the right to temporarily hold an amount prior to arrival. This property has apartments in different locations around Rome, and check-in takes place directly at your apartment. See the apartment descriptions for the addresses. Please note that full cash payment is due upon arrival. At this time, the owner will explain the rules of the house regarding garbage disposal and utilities. A charge applies to arrivals outside check-in hours. All requests for late arrival must be confirmed by the property. Please inform Rome All In Apartments of your expected arrival time in advance. You can use the Special Requests box when booking, or contact the property directly using the contact details in your confirmation. The metro station is not far (about 10 minutes walk), but the apartment is on the hill, so it was challenging for my parents to go uphill at the end of the day. It isn't a problem for younger people. Little bit noisy upstairs unit. Selection of food options nearby not really great. The bathrooms and the overall level of cleaning was medium, the noise done upstairs by the neighbors each night with the dog and the children was something that the property could not control but still made our night sleep disturbed. Located at the end of a dark alley. Security and clenlyness were not good. Neighbours were a bit noisy or the sound proofing was not the best. Luckily it was all quiet after 10pm.